Recently I had a chance of taking a test drive of the Chevrolet Captiva LTZ variant, the highest of the present models in India and perhaps one of the most expensive SUVs of the country. As expected there is everything that is and should be expected from this high tech and marvel packed SUV from Chevrolet. It is pretty obvious that the SUV has all ergonomic and intelligent aspects and so it would call it the smart car. Perhaps what really attracts attention is the superb and massive body of the SUV which is distinct and exceptional in looks from any other competitor. The extremely powerful engine of the SUV unleashes massive power and the top speed attained within the few seconds makes you meet the winds within a stich of time. There is impeccably ample amount of space inside the car that makes it one of the widest SUVs in the segment. There is plenty in everything, the seats, the dash, the instrument and console and LTZ being the highest model in its class has got all the features that separate it from the class apart. The steering wheel doesn’t seem heavy at all; it is surprisingly lighter than expected and the braking is at the utmost comfort of your control. The beautiful décor together with the superior quality material used in instrumentation of the car, the Captiva surely dies make an impact if you are looking forward for a SUV but not wanting to go way too much in the segment. It seems pretty digestible and the maintenance might be a worry. Also you shouldn’t be frenzy in mileage and stats because in that case this one isn’t the best option for you. Overall some nice wheels to brace with, Captiva captivates me on a personal note. super extreme body with chrome...i go to off ride twice in a month, and i love to drive to feel the power of Captiva. 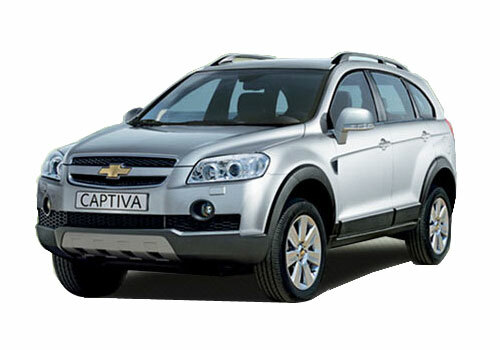 Chevrolet Captiva is impressive car but price is too high.. The Chevrolet Captiva exterior look of this car is quite bold, can be considered as best among the sedans. This car having good interior features..